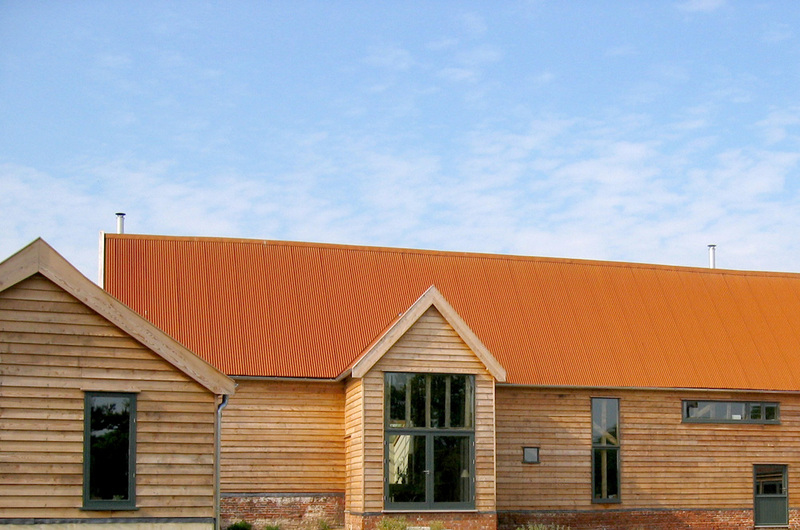 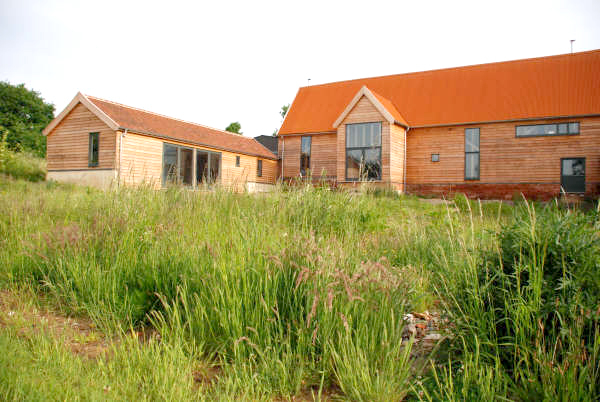 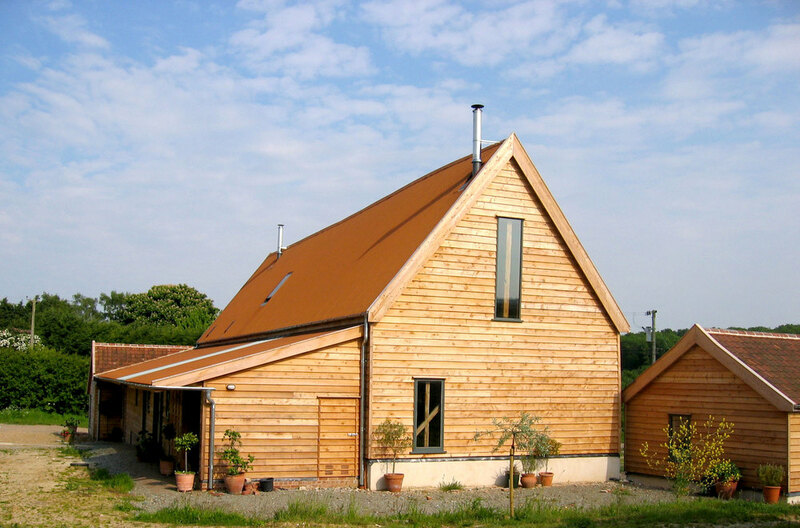 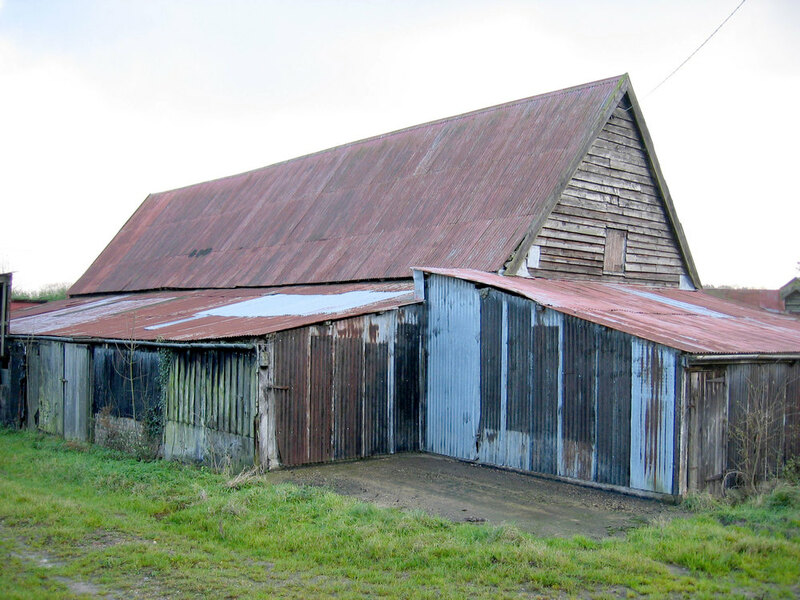 This barn retains the rugged appearance of a farm building, using rusty corrugated metal on the roof, unstained larch cladding, and stained softwood windows. 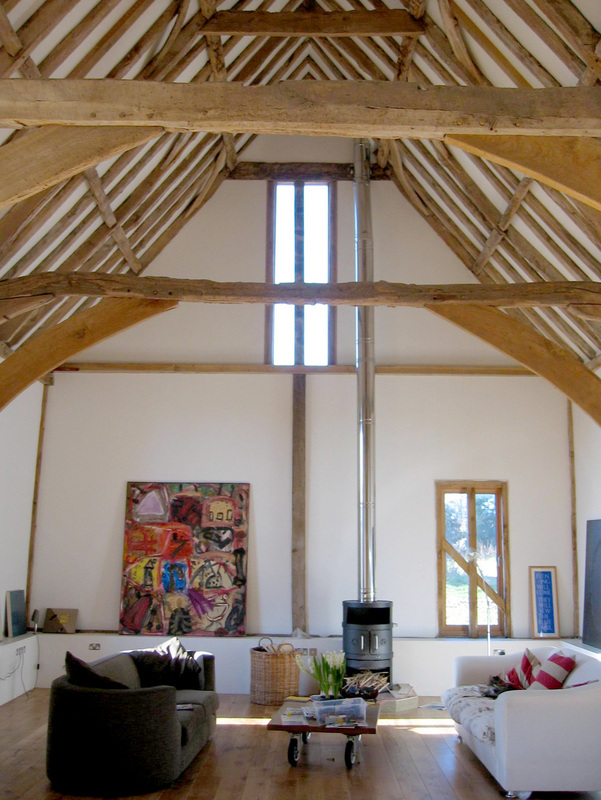 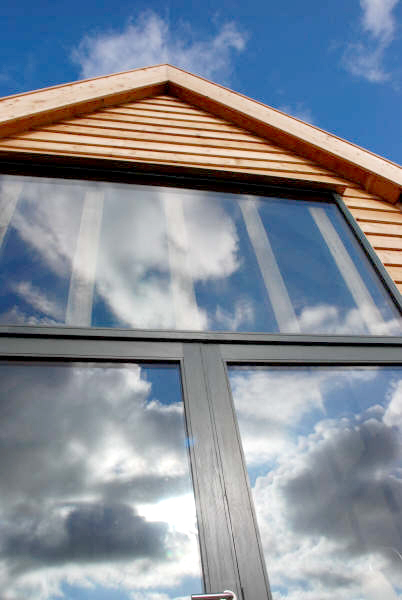 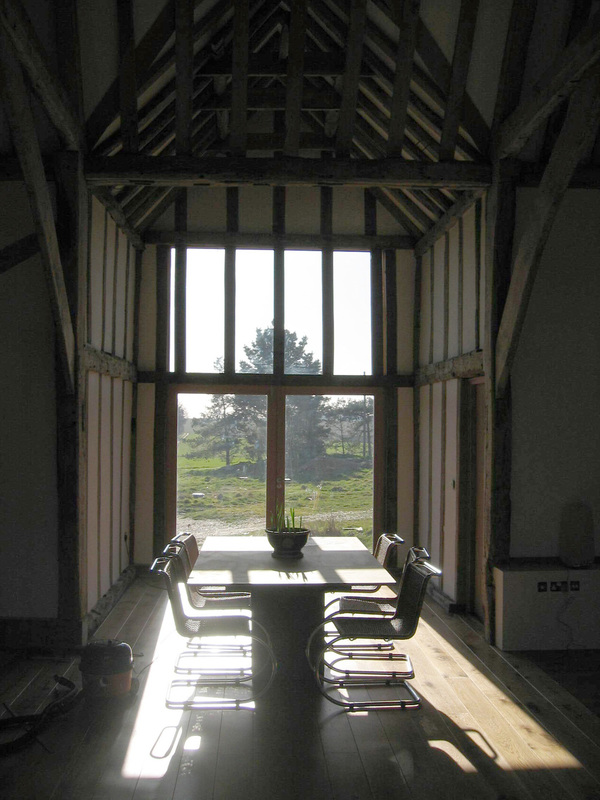 The glazing to the old midstrey has a large fixed panel of glass at the top, to show off the timber frame behind. 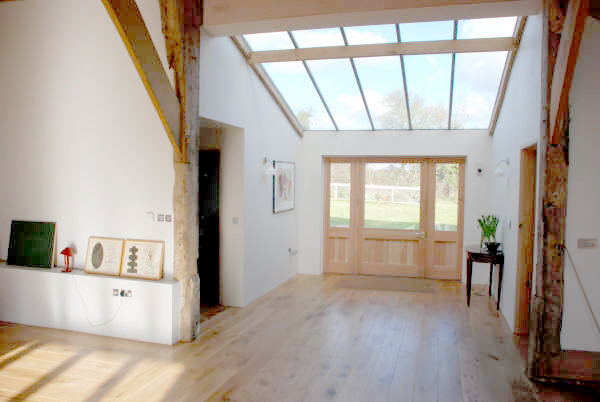 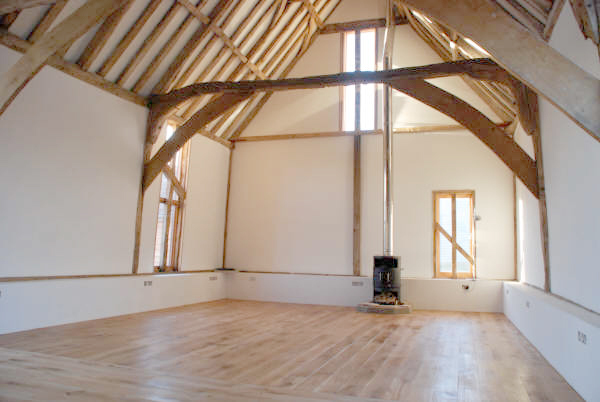 Wide double doors below allow the whole bay to be opened up to ventilate the barn in summer.